Nashua native Ron Dube’s flag design includes the Elm St. School, Nashua Manufacturing building, Holman Stadium and the Jackson Mills building, which housed Sanders for a long time. Now he’s on a new mission and hoping the city will rally along with him. He would like to see the Gate City have what many other cities around the nation have — an official city flag. When talking with Ron, 76, you learn that his pride runs deep, and that is one reason he recently penned a letter to Mayor Donchess and the Board of Aldermen about adopting an official flag for the city. I addressed the same topic in a 2017 column. 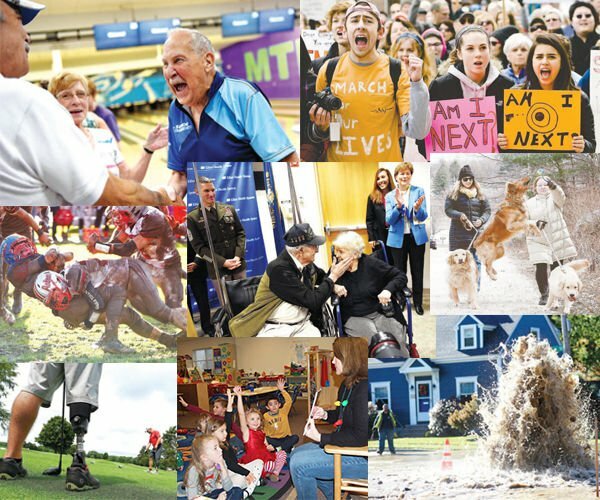 At that time I noted that — as amazing a place as Nashua is — we lacked an official flag. Sure, we have a city seal engraved into a granite medallion at the center of City Hall’s brick plaza, but that’s about it. Dube is a Nashua native living in Mason. His local roots run deep. I recall him telling me that he once was a lifeguard at the former Fields Grove at Salmon Brook, had a summer job at nearby Benson’s Wild Animal Farm as a teen, became an Eagle Scout and went on to teach science here and in Pepperell, Mass., for some 40 years. 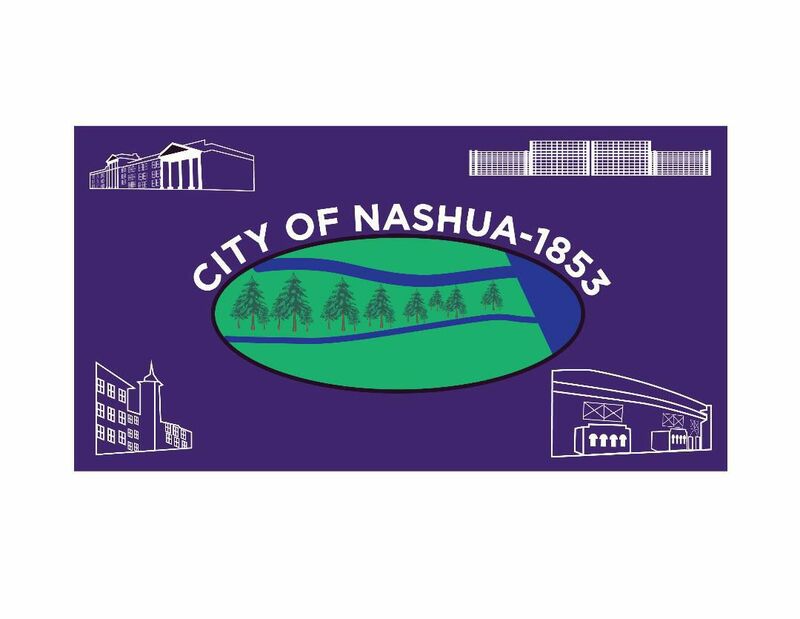 When it comes to this city flag issue, Ron has stepped up and designed his own flag for Nashua. He thoughtfully included significant symbols of our community, and in his letter to city officials he outlined the process for establishing a flag. Wrote Dube: “The Elm St. School, as the oldest building still in use as a school, was a good choice for education in town. Nashua Manufacturing building was a good commerce icon. The Jackson Mills building housed Sanders for a long time, and finally, Holman Stadium was a site for Nashua sports for a long time. Each icon is featured on the flag’s corners. Ron’s artistic son, Luke, has made a handsome mock-up of the flag; I think it’s been beautifully rendered. To Ron and many of us, flags are “rallying symbols,” and he has another excellent idea for the Boy Scouts of America. He recently sat down with the Monadnock District BSA to show them the flag he’s designed for the city and to inspire Scouts to use their creative minds to do the same. He’s hoping the Daniel Webster Council approves similar flag designs as Eagle Scout projects. I think Ron Dube’s heart is in the right place. He feels strongly about the city that has given much to him. It will be interesting to see how the mayor and aldermen react to his design. Will city hall wave or waive his city flag? Ms. Stylianos is a Nashua native. Her column is published weekly. She can be reached at jtania512@gmail.com.